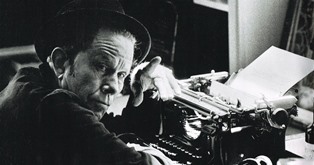 SAN DIEGO, CA – Several years ago I wrote an article entitled Tom Waits: Dark Hymns of the Christian Life . To begin the article I found the pizza parlor Waits worked in San Diego — Napoleon’s, jotting down my impression of the building and his early musical inspiration, addressing the Christian themes found in his music. During my visit to Napoleon’s I knew there was another place Waits worked in San Diego — the Heritage Coffee House, but never found time to visit the establishment in the Mission Beach district; that is, until recently. 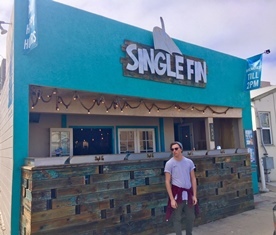 The business now housed in the building is called Single Fin Surf Grill. It’s a restaurant specializing in California cuisine — fish tacos and the like. Overall, the atmosphere is what you’d expect from a beach restaurant — open patio, casual, and beach-chic. I asked the waiter if he knew much about the early years of the building. He didn’t. The Heritage closed in 1973; the year Tom Waits’ first album, Closing Time, was released. The only thing the waiter could tell me is that musicians from the early days recently got together to celebrate the coffee house . Waits didn’t attend. I don’t know if finding the hold haunts of one of America’s great songwriters helps get a handle on the man and his music — probably not, but I thought it wouldn’t hurt. So why seek it out? Because Waits is a fine storyteller and songwriter, a master of his craft. And as mentioned in my previous article, Waits’ touches on many Christian themes within his music. 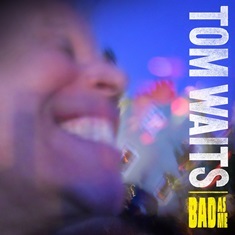 I wrote, “as one listens to Waits, there are many songs that offer a strange and metaphorical view of the Christian life (Chocolate Jesus), as well as songs and lyrics that ask God the big questions of life (Little Drop of Poison: ‘Did the devil make the world while God was sleeping?’ and Road Map to Peace)…. Why Waits is satisfied is not stated. And in an extra track, After You Die, Waits asks, “What is it like after we die?” It’s a question he doesn’t answer within the song. And though Bad as Me is not as saturated with Christian themes as previous albums, there’s enough to indicate that Waits is wrestling with deeper, spiritual subjects. 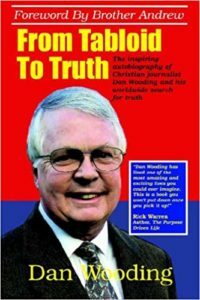 Other writers have addressed the theological themes found within Waits work as well. 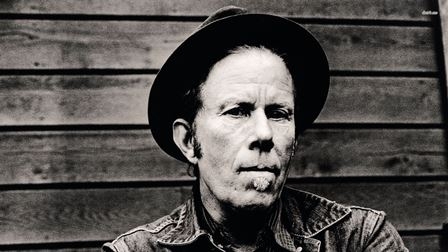 In an article entitled Theologian of the Dysanglelion, writer Ben Myers writes, “I don’t think it’s too much of an exaggeration to describe Tom Waits as a theologian — as long as we add that he’s a theologian of the dys-angelion, the ‘bad news.’ His songs conjure up a swirling chaos of monsters and madness, devils and despair — and on the horizon of this dark world we glimpse the first faint glow of dawn, the surprising appearance of grace “de profundis” (Psalm 130:1) . Jeff Dunn on the Internet Monk writes, “Waits sings about life as he sees it. His world is not pretty or safe. He doesn’t pull punches. Why use a nice word when three profanities will do the job so much better? But he is not just whining for whining’s sake. Right when you think things can’t any worse, God comes breaking through in his lyrics” . And though sitting in the old Heritage Coffee House hasn’t helped get a better glimpse of the man and his music, there is one thing that is certain: Waits has left a heritage of his own — a Biblical view of humanity — warts, wounds, wisdom, and wonder. And I hope he continues to do so for years to come. So I say, sing on, Mr. Waits; sing on.